What to Wear to Bubble Soccer? 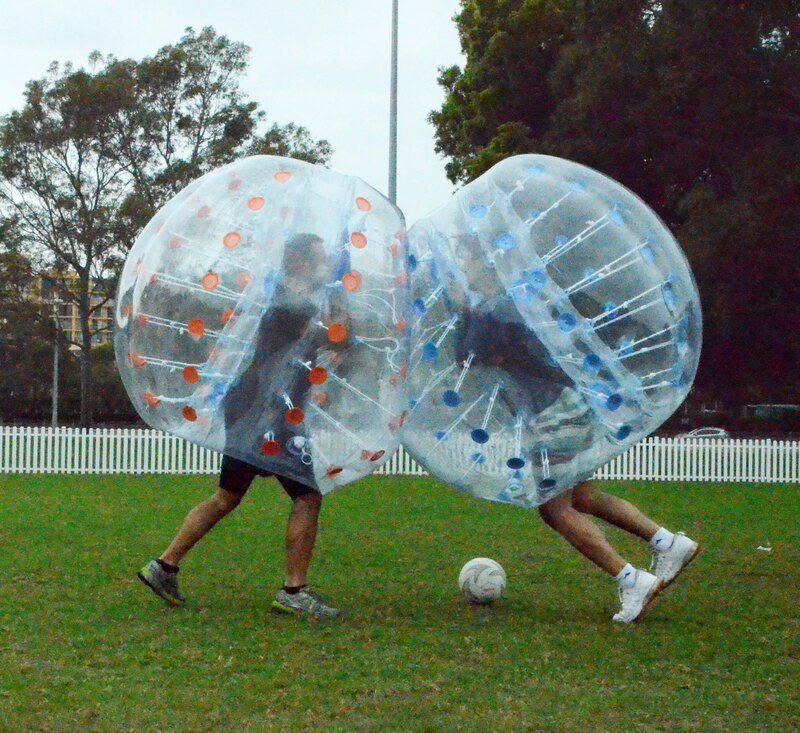 Not sure what to wear to your bubble soccer game? There are no guidelines other than selecting athletic attire that is comfortable. 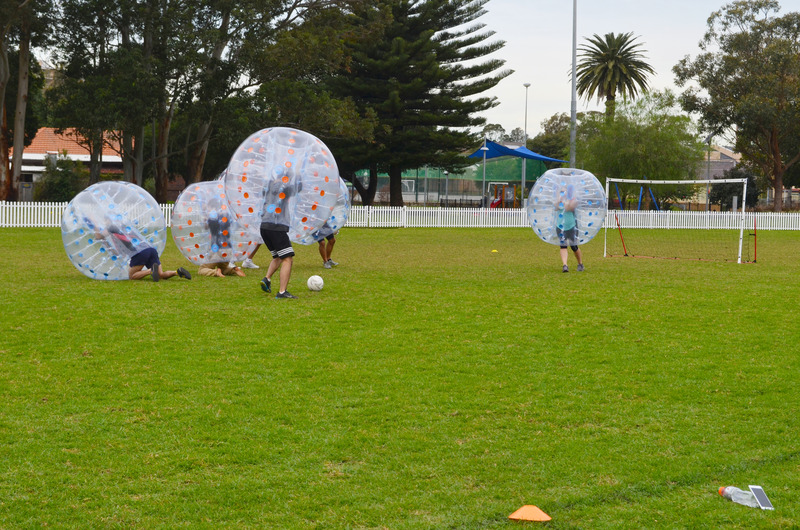 When you are comfortable, only then you can enjoy bubble soccer to its fullest! The best part is that there are no restrictions whatsoever when you play the game. You can wear yoga pants or leggings. The choice is completely up to you! Trying out T-shirts: If you do not want to be experimental with your getup, then you should think on the lines of getting sports T-shirts. Now you may feel pretty hot inside the bubble suits. This is why wearing the T-shirts is a perfect idea. When you are buying a T-shirt, then there is an important aspect that you should keep in mind. You should not go with a shirt that does not have sleeves. 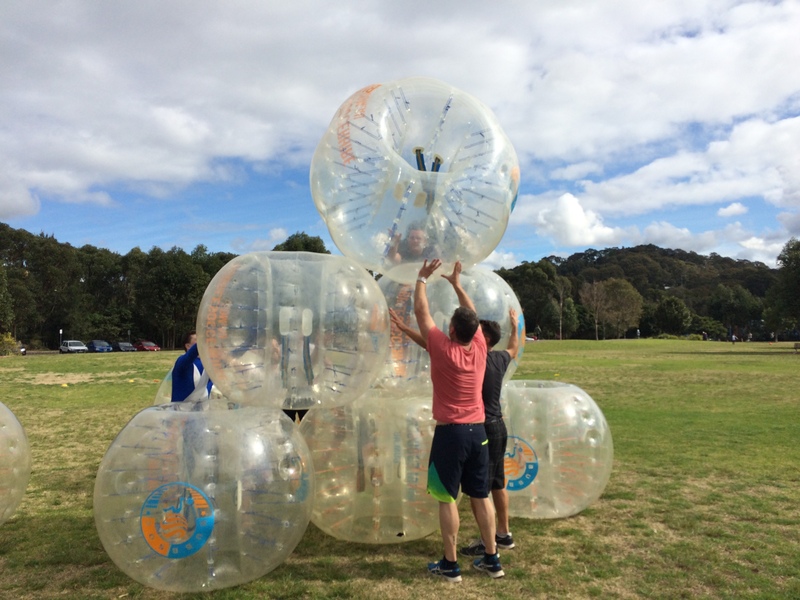 The reason is that the bubble ball’s shoulder straps will come in contact with your skin and this can cause irritation. Picking out the right pants: Now you have to move quite quickly in this game. This is why you need to go with the stretchy attire that allows you to move with ease. Well, the perfect idea in this regard is to wear shorts. Selecting the right footwear: You need to be aware of the fact that the footwear is the key to the game. The reason is that during the entire event, you need to be on your feet. It is preferable to go with shoes that offer a snug fit and ankle support as well. Moreover, the shoes need to have a flat sole. Choosing the perfect pair of socks: This might sound like something trivial but the selection of the appropriate pair of socks does make a difference. The perfect idea will be to go with the breathable socks. If you make an inappropriate selection, then your feet might become sweaty and you may end up getting blistered feet. Getting hold of knee pads: Your knees may also need protection because they are in continuous movement. BubbSoc does not make knee pads mandatory and run most our games without them. However, it doesn’t hurt to get yourself a pair! You should make sure that you avoid the idea of wearing cleats or studs because they can damage the bubble suits. It is essential to avoid wearing slipper and flip flops as well during the game because of the risk of injury. If possible, you should avoid wearing glasses under your bubble suit because this can cause injury. Avoid wearing lose jewellery as well because it may also damage the bubble suit. The best thing about playing this game is that there are no colours restrictions when it comes to your attire. This is why you have the freedom to mix and match colours when selecting your attire. If you want to have a great time at the event, then make sure that you plan your getup in advance. Why not organise a group costume? When you are dressed up properly for the game you feel confident and can deliver your best so do remember these vital things. 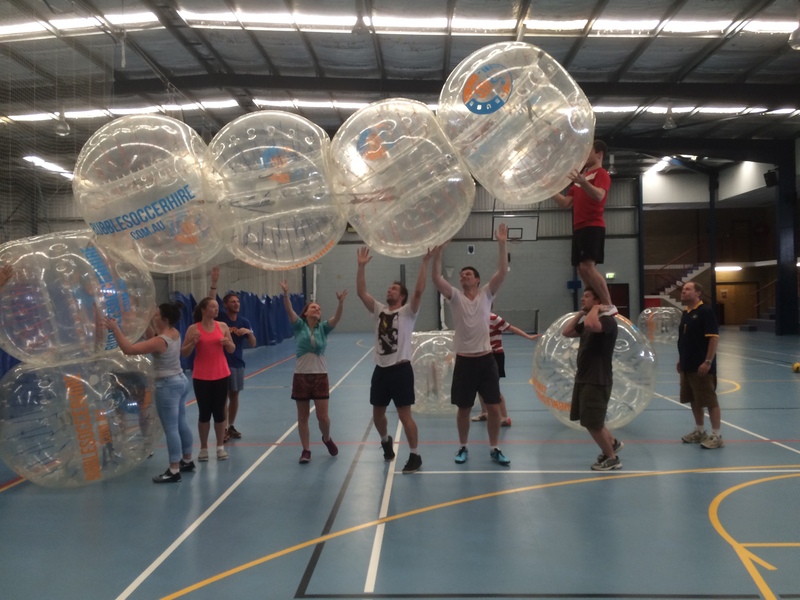 BubbSoc is one of the oldest and most trusted bubble soccer providers in Australia. We currently service Sydney, Brisbane, and Melbourne. 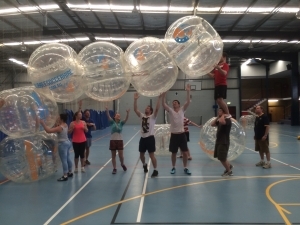 If you have any other questions about bubble soccer, or you are interested in making a booking, feel free to get in touch! You can fill out the form or call us on 0423 074 787.